RIGHT SPEAK: Report: First Illegal Alien ‘DREAMer’ Sent Back to Native Mexico Under Trump ... OH WAIT! Report: First Illegal Alien ‘DREAMer’ Sent Back to Native Mexico Under Trump ... OH WAIT! 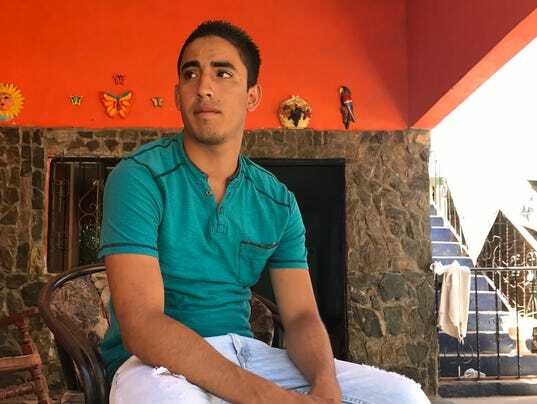 U.S. Customs and Border Protection sent a self-identified illegal alien with criminal convictions back to a family member’s home in Mexico on Tuesday, according to media reports. “Court records show he has four convictions: one for shoplifting in January 2016, and three for driving without a license, most recently three months ago,” the outlet reports. An agent approached Montes in Calexico, California, on Feb. 17, and he allegedly had no identification or proof of “DACA status” with him. According to USA Today, Montes had carelessly left those documents in someone else’s car. Three hours later, he was reportedly back in Mexico at an aunt and uncle’s home in western Mexico.